Warning – spoiler alert! 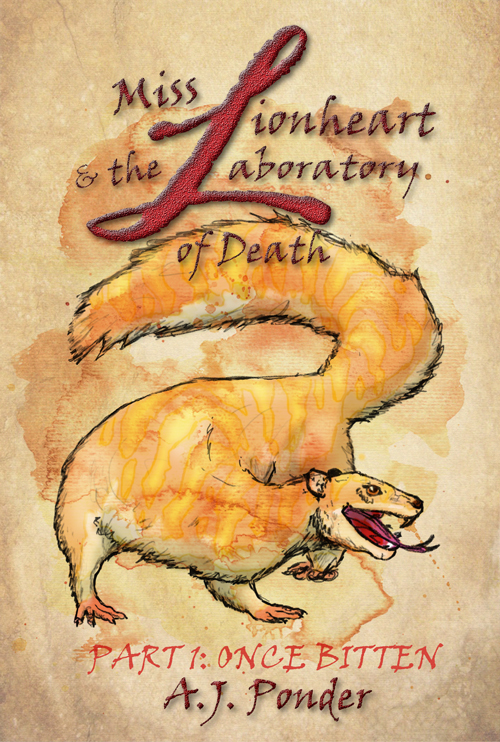 If you haven’t read Miss Lionheart and the Laboratory of Death – Once Bitten you should turn back now…. Yes, the day you’ve all being looking forward to is finally here – Miss Lionheart has been kidnapped and forced to work on a Mad Professor’s lunatic project. So come, hijack yourselves into mad scientists’ territory, duck the gelignite, avoid the Acme fuses. Do whatever you need to, just make sure you don’t miss out — it’s more than your life is worth. That’s right, Miss Lionheart and the Laboratory of Death, part 1: Once Bitten is here!